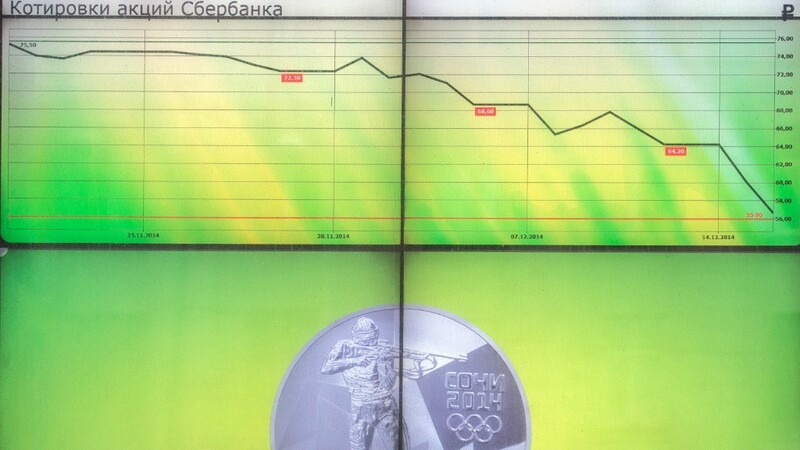 A year ago, Russia's economy was growing by about 1.5% and President Vladimir Putin was preparing to host the Sochi Winter Olympics. Fast forward 12 months: Moscow is trying to prevent a currency crisis turning into an economic catastrophe, and finds itself more isolated than at any other point in the last 25 years. The crisis carries big risks for Western banks and companies that do business with Russia. Fragile foundations: Forecasts for Russian growth were being downgraded well before the Ukraine crisis sent investors running for the exits. Putin had left the Russian economy overly reliant on exports of oil and gas. Calls for greater action to scale back government involvement in the economy, tackle corruption and stimulate local investment had largely gone unheeded. Meddling in Ukraine: Russia's decision to back separatist rebels following the removal of Ukraine's pro-Moscow government had markets worried before Moscow formally annexed Crimea in March. 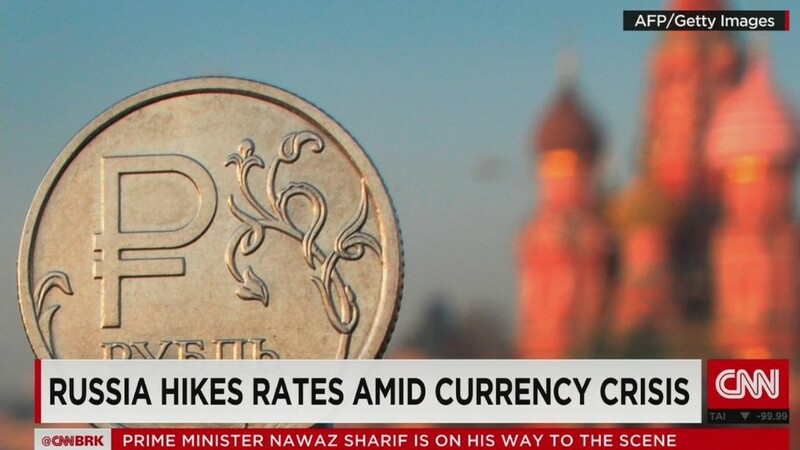 Worried by rising tension between Moscow and the West, the ruble and Russian stocks hit the skids in late January. The flight of capital accelerated. The West acts: After months of largely symbolic sanctions aimed at Russian officials -- including asset freezes and travel bans -- first the U.S., then Europe, were stung into serious action by the shooting down of a Malaysian airliner over eastern Ukraine in June, and Moscow's continued support for rebels blamed for the crash. They took measures to prevent Russia's biggest banks and companies raising funds in the West, and targeted the country's key energy and weapons industries with restrictions. Russia retaliates: Moscow responded by banning various food imports from Europe and the U.S. That hurt European food exporters, and dealt another blow to investor sentiment. But it also drove up food prices in Russia, further fueling inflation that was already on the rise due to the devaluation of the ruble. Oil collapses: At about the same time global energy prices started to fall, completing the perfect storm for Russia. The oil crash accelerated last month when OPEC decided not to cut its production target. Assuming oil holds at current levels -- and that's far from certain -- Russia's economy will contract by about 5% next year. That's as bad as it got during the country's financial crisis of 1998.